Matt Trend - The statement and appeal of furniture ia mainly a question of its surface. While gloss so far stood for refinement and sophistication, matt is now increasingly making inroads into the furniture world currently dominated by gloss. When it comes to a minimalist statement, restricting the furniture design to the essentials, the surfaces are matt. “Matt” and “Gloss” exist parallel and complimentary to each other and now less due to functionality, production conditions and technical possibilities, but as an expression of multilayer trends – the dull simplicity of matt allowing its counterpart to shine. Now imagine a surface which combinies gloss and matt which we would like to announce: We at Niemann are convinced the next topic is texture/structure – a interplay of matt and gloss. 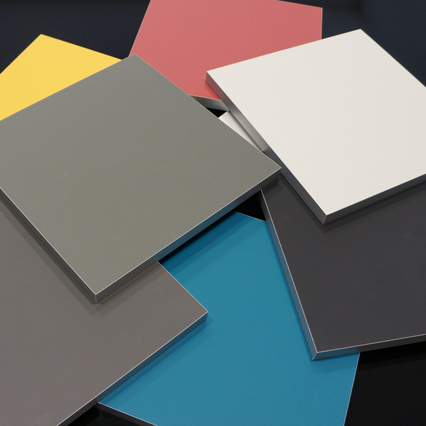 Learn more about the new paint surfaces Pianovo Matt, Pianovo Gloss and Pianovo Weave. Please contact us for details. The collections of Pianovo Matt, Pianovo Gloss and Pianovo Weave are available in 10 trend colours.